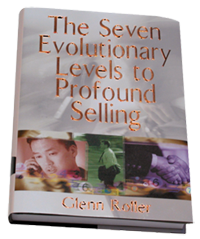 The Seven Evolutionary Levels to Profound Selling. Here is what others are saying about us. "Very few individuals can blend Glenn's amazing insight into the human psyche with his cunning ability to actually simplify the decision making process for the customer. Glenn's philosophies are incredibly successful because the techniques are simple, can be applied to any consumer segment and allow the salesman to quickly establish customer rapport based on a foundation of integrity and respect. We have worked with Glenn Roller for almost a decade, and we consider him a key contributor to our company's success and an integral part of our sales strategy. If you want double-digit increases in productivity from your sales staff, whether they are new players or already key contributors, Glenn's training is an investment that will produce significant, measurable returns for your training investment." "Having been through many "well recognized" sales training seminars and programs, Glenn Roller is in a class all his own. My only regret is the fact that I encountered him so late in my career. I wish I could turn back the clock." "I wish I would have had access to this book when I first started in the car business 18 years ago. It could have saved me so much of the frustration that normally comes with a retail selling career. To quote Glenn, 'We understand others to the extent that we understand ourselves'. This book will help you take a look at your motives and help you get past the one thing that stands in your way - yourself." "I greatly appreciate the entire program. I enjoy using the audio CD's as a learning tool and can listen as I travel. The entire audio book is great and the program has taken my entire staff to the next level." 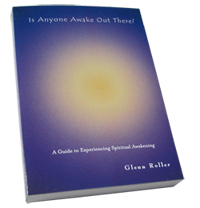 "This book has allowed me to understand myself and other people on a level much higher than I expected. Thanks for the new tools Glenn!" "Glenn looks way beyond the basics of sales and really understands the human dynamics that are at work. I am thankful that I have had an opportunity to learn from Glenn." "Your book has not only helped me to become a better sales professional but it has profoundly affected my life. To my amazement, your book also affected the lives of the ones that mean the most ot me - my family." "I actually purchased your book, The Seven Evolutionary Levels to Profound Selling. I took this book and committed to doing the work involved and it has changed my career like no other material I have encountered. By memorizing the different questions, following the steps in The 5 Greatest Secrets of Selling, paying attention to both verbal and non-verbal communication, and asking for the sale every time I experienced the greatest level of success in my nine year sales career." "Glenn, your words have given me the inspiration and curiosity to pursue a professional career in sales. Thanks to your ideas, I can now do in one month what formerly took me a year to do in gross sales! Thank you for your professional training." "I have been selling large ticket items, such as homes, in the million dollar plus range for many years. Your approach to selling has helped me to close more of those sales with greater ease than any training I have ever seen. I mean it Glenn, your ideas really work!" "After completing my journey through your book at the end of last year so much has changed in my life, not only in my professional life but in my personal life as well. Thanks to Glenn and his amazing book 'I finally get it'." At The Glenn Roller Institute we encourage an understanding of both sales and self, too assist in continued growing. Here is what others are saying about it. "I wouldn't make any changes in this book. It's written as though the author were talking to you personally. I have read lots of books and this is a good book." "It made me realize I wasn't the person I thought I was - I am just now beginning to realize things I never knew about myself." "I have read many books looking for the meaning to life. I was looking for something much more difficult than what I found in your book - it's just so simple!" "I like the whole concept of valuing the Twelve Step model while going beyond it. This gives people a compass that many types of psychotherapy fail to provide." "Extremely thought provoking. A must read!" "This book helps you face why you do what you do." "The Chapter 'Do You Love Me Or Are You Afraid?' left me amazed at how many unloving behaviors I had been accepting in my life." "This is not a book that is read overnight as it is a book to read, set aside, and self-reflect. This is 'THE' self-help book."